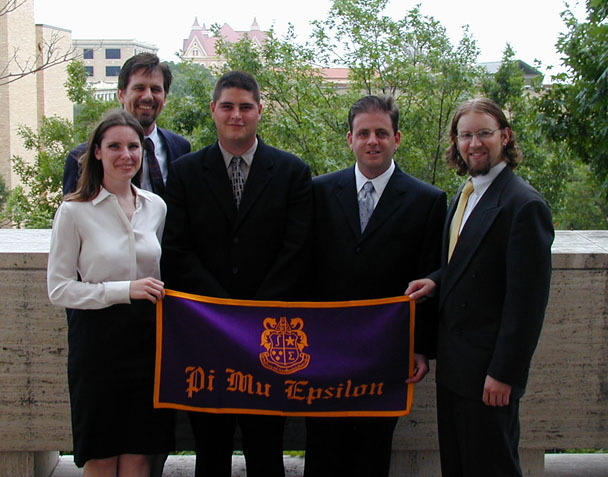 The Texas Rho Chapter of Pi Mu Epsilon was approved as a registered student organization by the Office of Campus Activities and Student Organizations on February 27, 2002. The Petition for a chapter of Pi Mu Epsilon at Southwest Texas State University was unanimously approved by the National Organization on March 14, 2002. 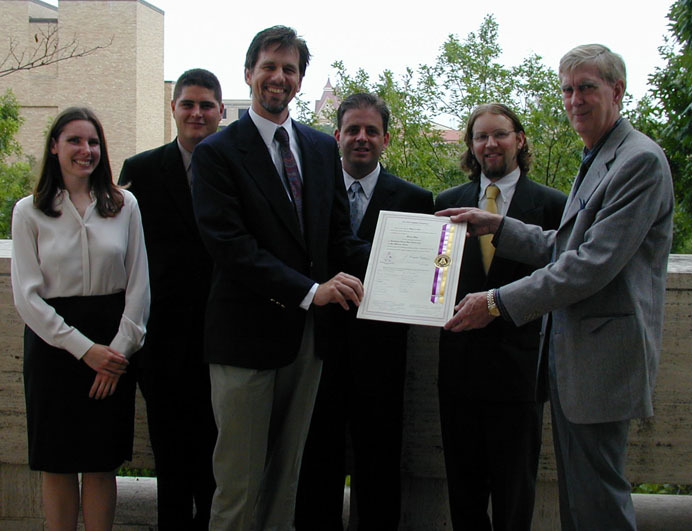 The presentation of the Charter of the Texas Rho Chapter of Pi Mu Epsilon was made by Dr. Doug Faires, the President of the National Chapter, to Dr. David Snyder, the Chapter Sponsor, and Kevin Moore, the Chapter President on May 4, 2002. 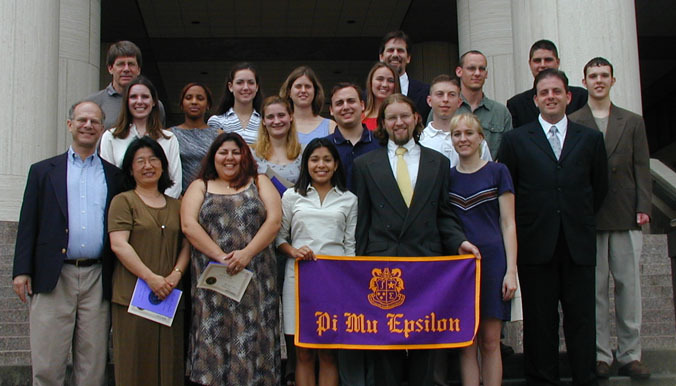 The First Induction of the Texas Rho Chapter of Pi Mu Epsilon was held at Alkek Teaching Theater on May 4, 2002. 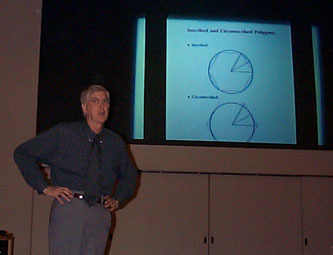 The Key Speaker was Dr. Doug Faires, President of the National Chapter, who gave a presentation on Archimedes Approximation to Pi.